Choise of customized functions for Touch buttons and icons graphics. Backlighted keyboard with different color and different light intensity. 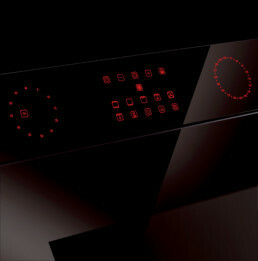 TouchPad UI with Oven glass panel assembled as single integrable compo- nent .